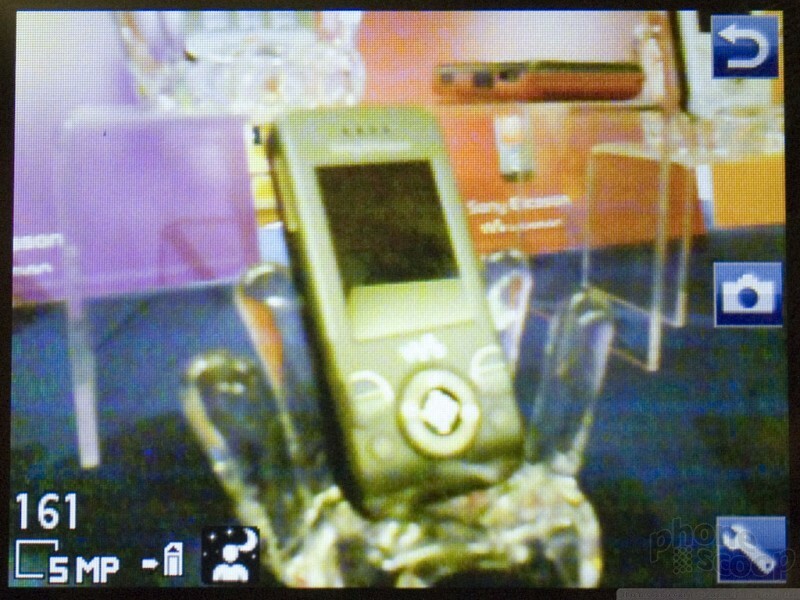 This CyberShot phone from Sony Ericsson sure provided a lot to talk about. First, it is about the same length and width as a BlackBerry Pearl, but it is noticeably thicker. 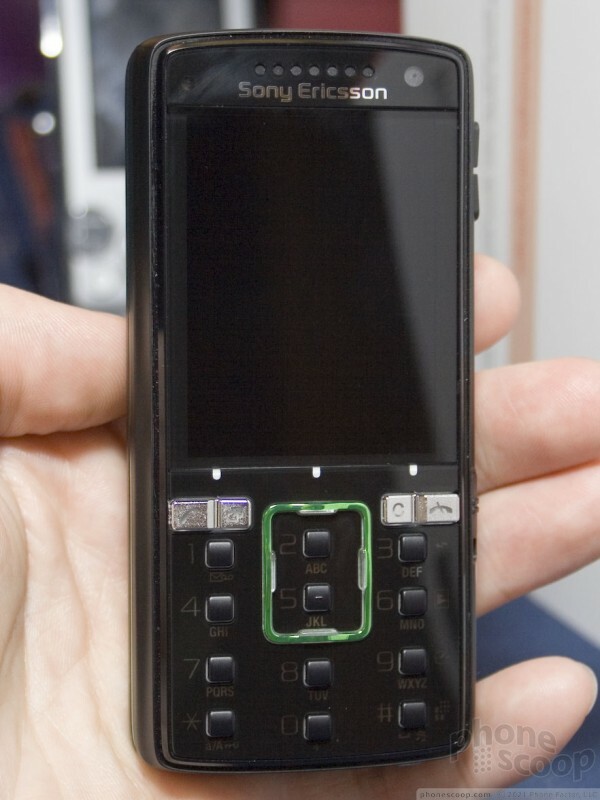 For such a thick candybar phone, though, it feels pretty light in your hand. To me, the plastic finish of the sides and back of the K850 felt a little cheap. The front of the phone is where SE decided to concentrate its design efforts. The screen has a nice size to it. Though the glossy finish attracted more than its fair share of smudge, the overall quality of the images and icons we saw was very good. 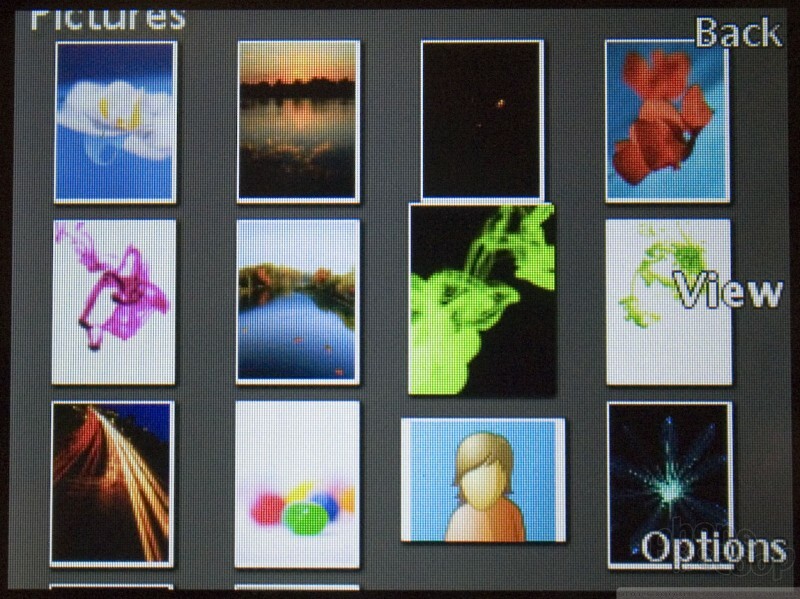 All the animation seen in the display and menus was smooth, and color viewed through the camera was fairly accurate. At the very bottom of the screen are three little white hash marks. These hash marks represent the three portions of the screen that are touch-sensitive. It is these three tiny little dashes where you press your thumb to select items or actions on the screen. 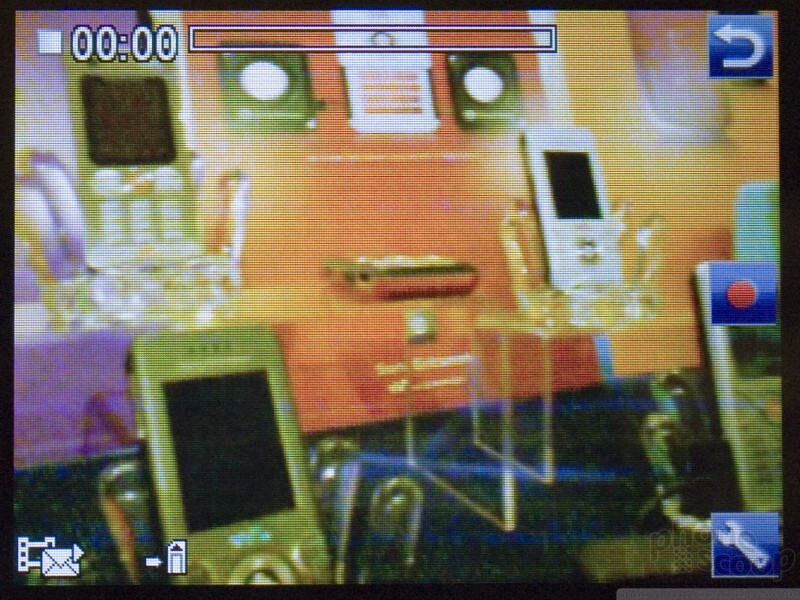 Since this is a prototype phone, the buttons did not work consistently, though over the course of using it for a few minutes, we were able to fine-tune using them a bit. It turns out the actual touch-capacitance activators are at the very edge of the screen, right up against the hash marks. You had to be precise with your thumb in hitting that portion of the screen in order to get them to work (see video). The keypad defied expectations. 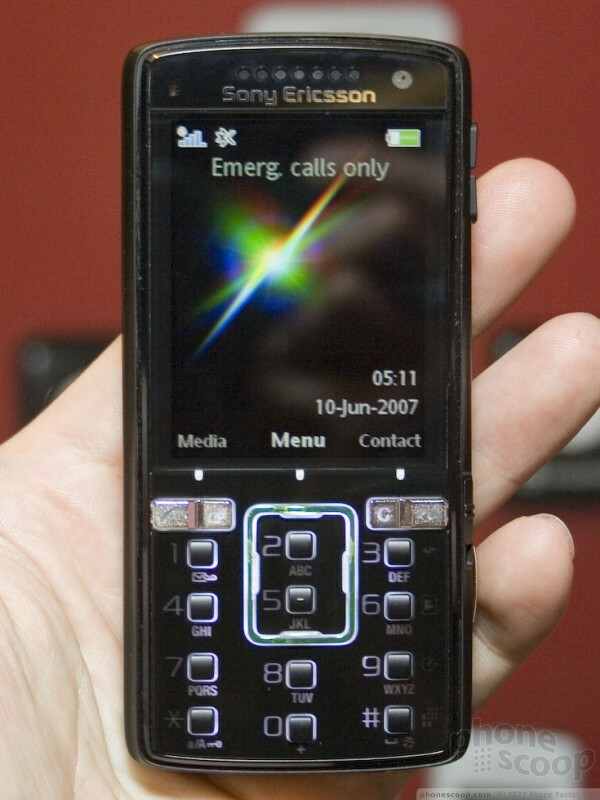 One some of its later models, Sony Ericsson has reduced the size of the keys on the keypad to mere blips. 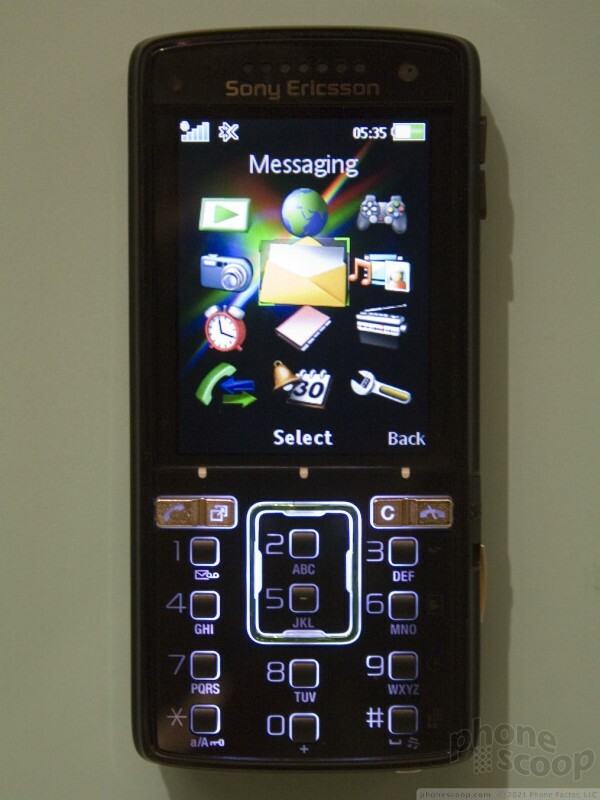 The same goes for the K850. Using the keypad on some of the other models, like the W580 for example, is dreadful. Not so the K850. Despite the small size of the keys, I felt they were very easy to use and they didn't produce the same negative impression as on other models. The "2" and the "5" keys are a little bit tricky, though. 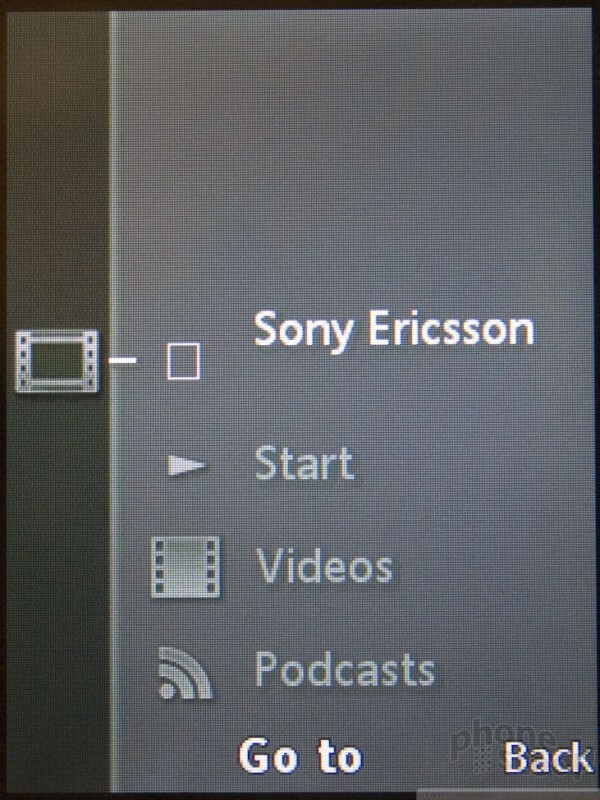 There is no real D-pad on the K850, per se. Instead, there is an illuminated ring of plastic surrounding the "2" and "5" keys that is multidirectional and lets you navigate around the screen. 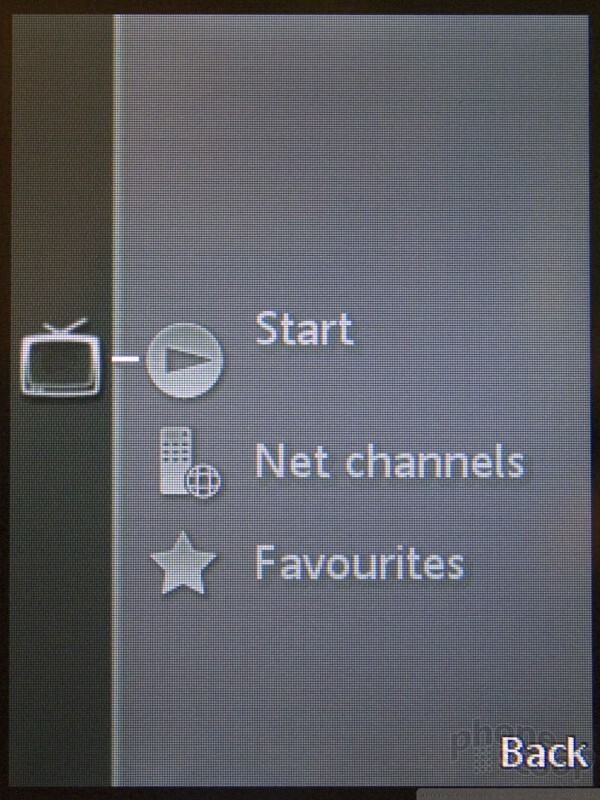 Your instinct is to push within this D-ring to make menu selections, but instead you'll end up dialing a "2" or a "5". You have to reach your thumb up above the plastic ring and use one of the three touch-capacitance buttons to make menu selections. Since this is not how we are used to interacting with D-pads, it will likely take some time to become accustomed to. One thing of note, the D-ring does not need to actually be pushed. Simply brushing that ring with your finger awakens the screen and illuminates the keypad. 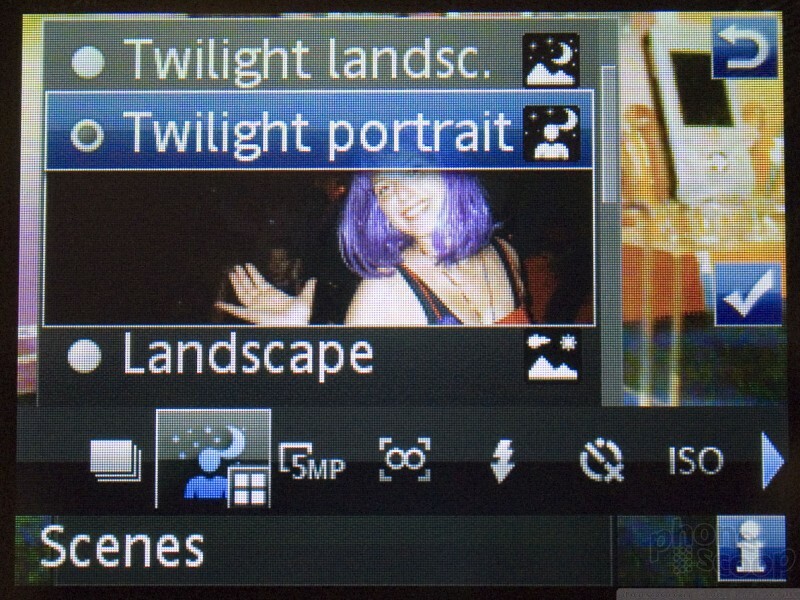 On the right side of the phone are some camera-specific buttons. 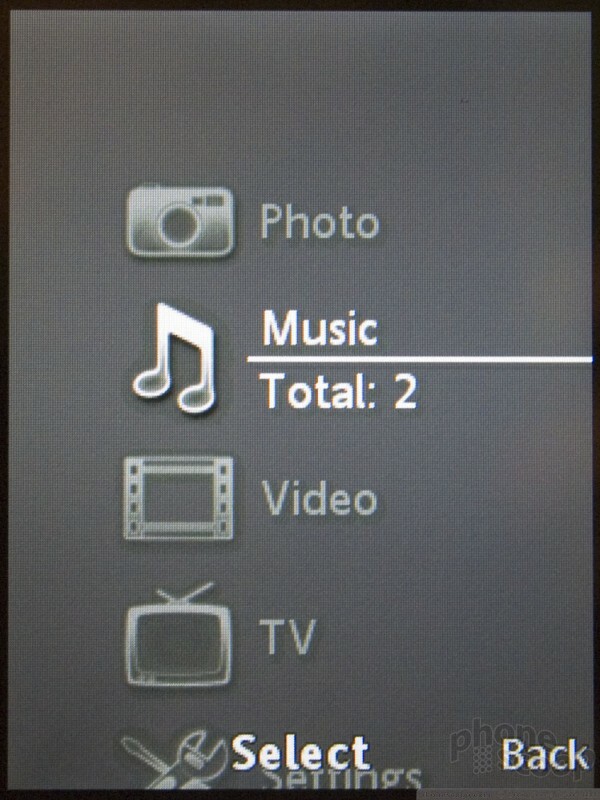 Near the top of the phone is the volume/zoom keys. 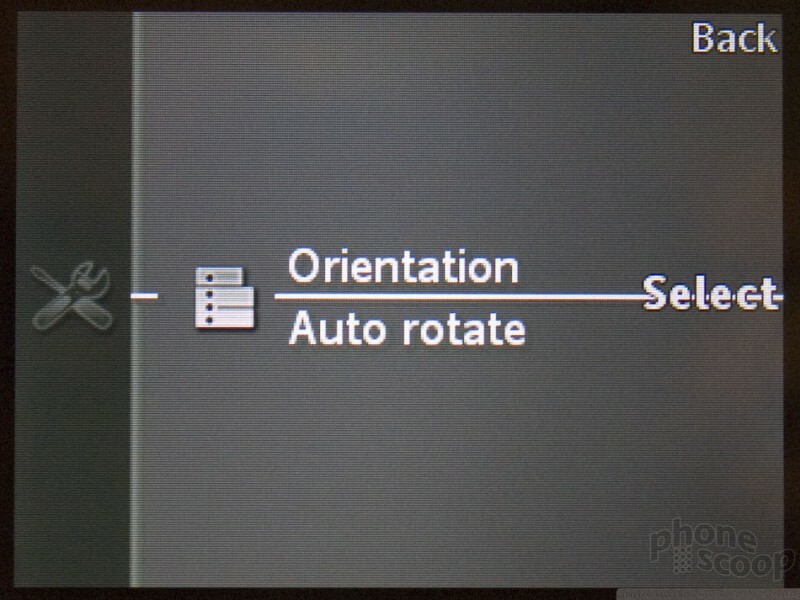 Near the bottom is the shutter release button, as well as the dedicated camera-launch key. 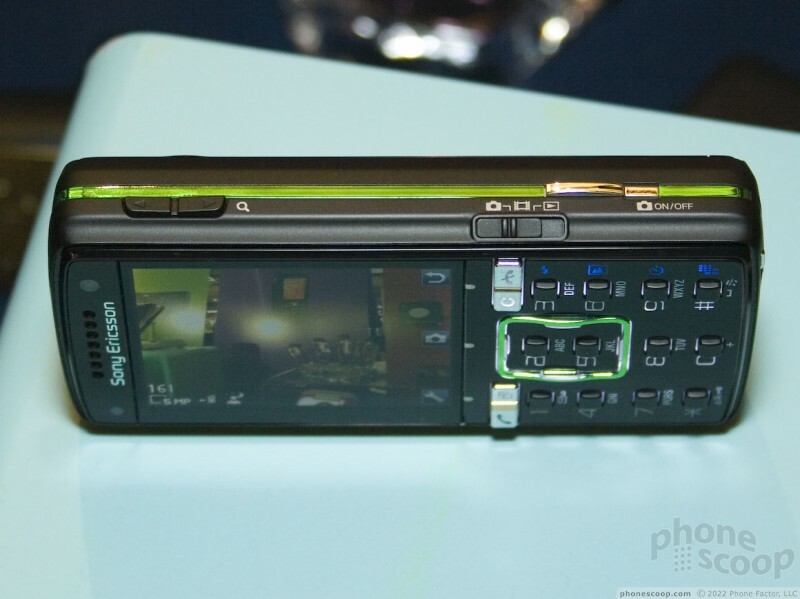 The really interesting thing is a three-way selector switch that lets you toggle between still camera, video camera, and review modes. 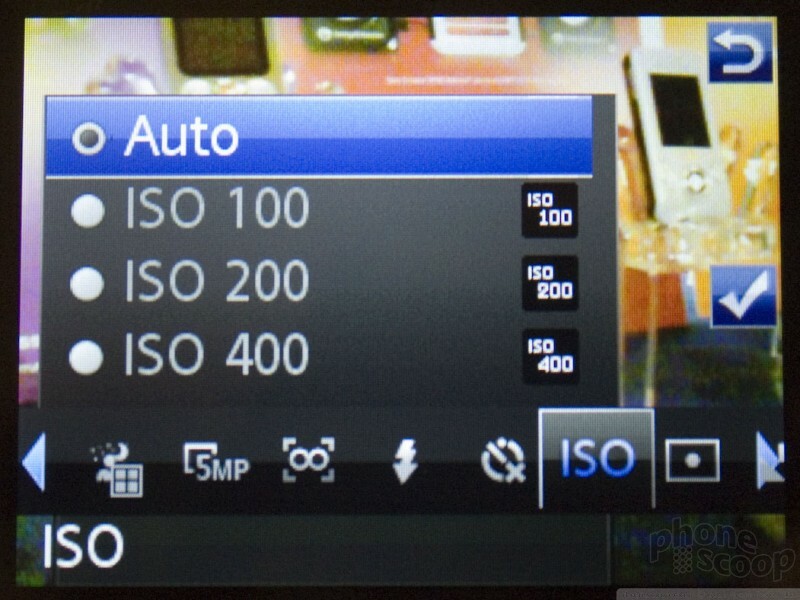 The K850 is held sideways to take pictures, and on the right side of the screen, the three touch-capacitance buttons let you access different picture-taking menus and options. While using these buttons with the phone held normally was challenging enough, it was near impossible to get them to work with your right index finger or thumb when holding the phone horizontally. 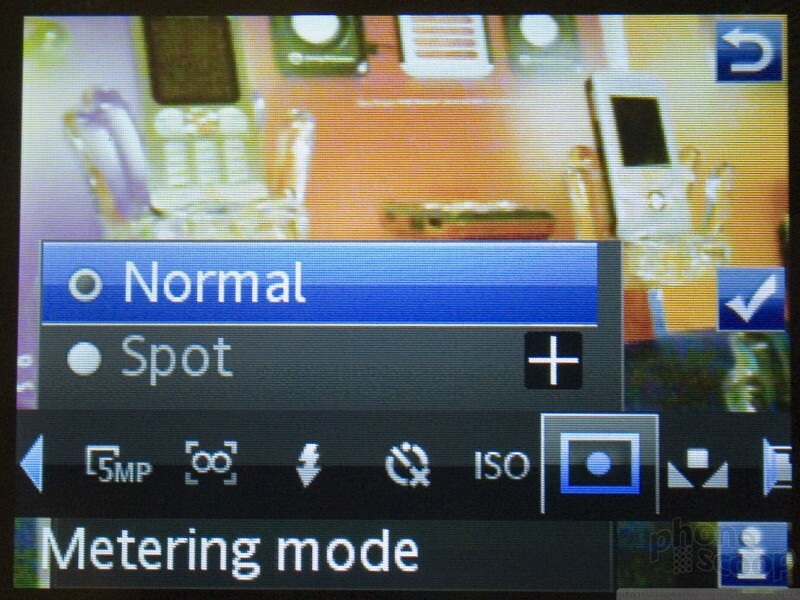 The 5 Megapixel camera and flash are located on the back of the phone. 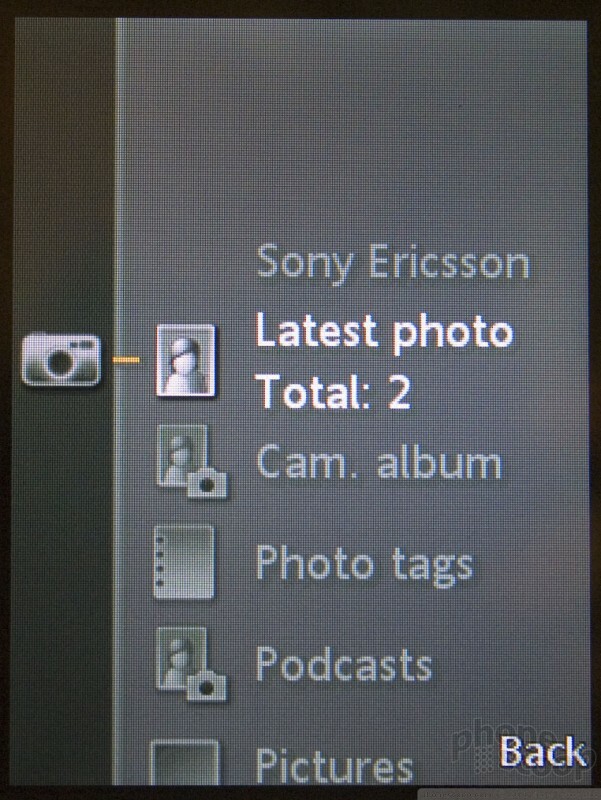 Also, when the phone is in camera mode, several hidden icons appear next to the "3", "6", "9" and "#" keys. 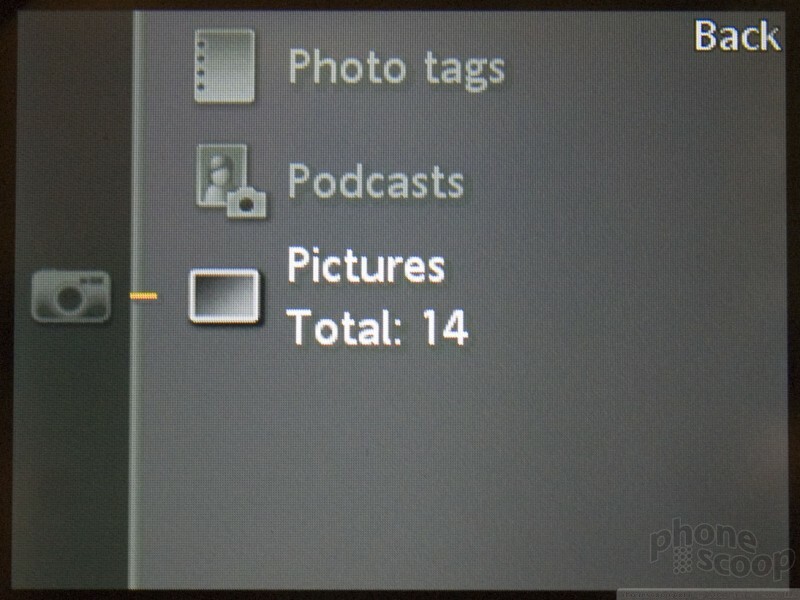 Each icon correlates to the key below it, and lets you quickly make adjustments to the phone, such as the flash or scene mode. The menus were on par with other SE models. 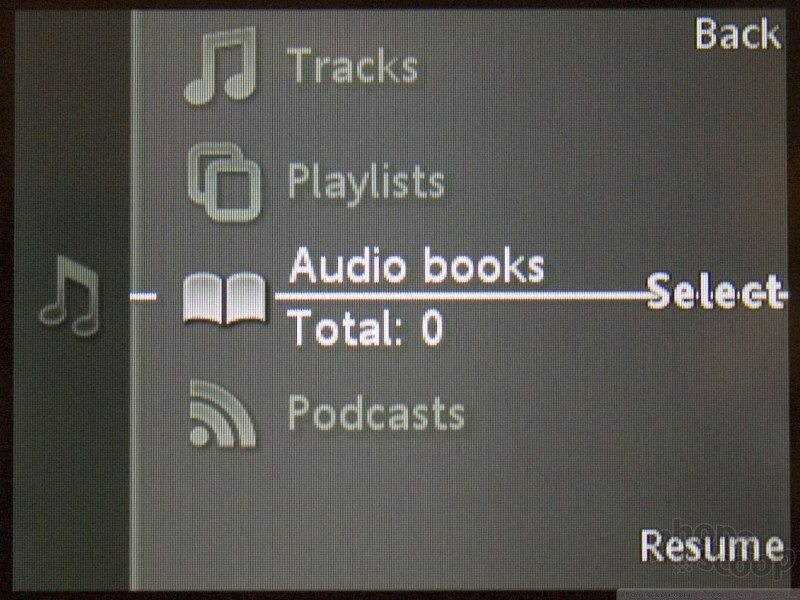 The media menu stands out a little bit. 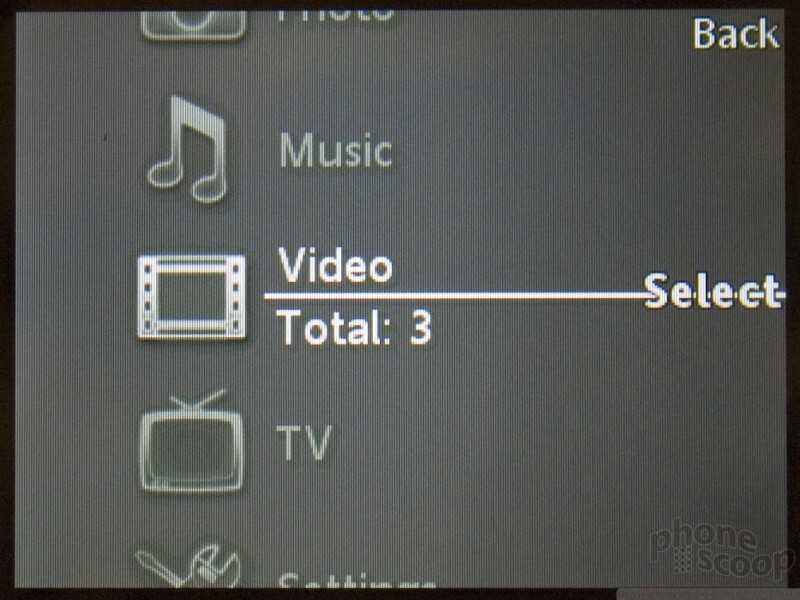 The media menus look and work much like the PSP. 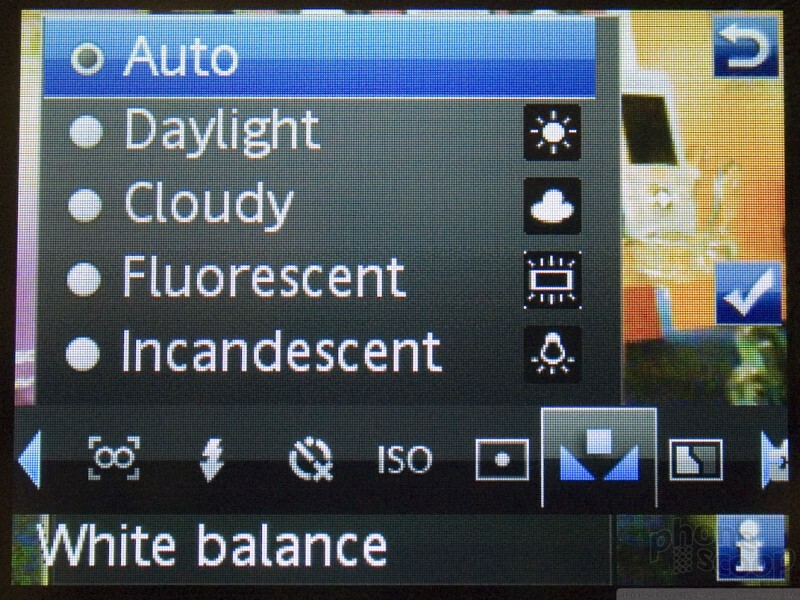 Sony has been applying this elegant four-way user interface to more of its media-centric devices in the past year, such as TVs and AV receivers, and now they are bringing this interface to their phones. 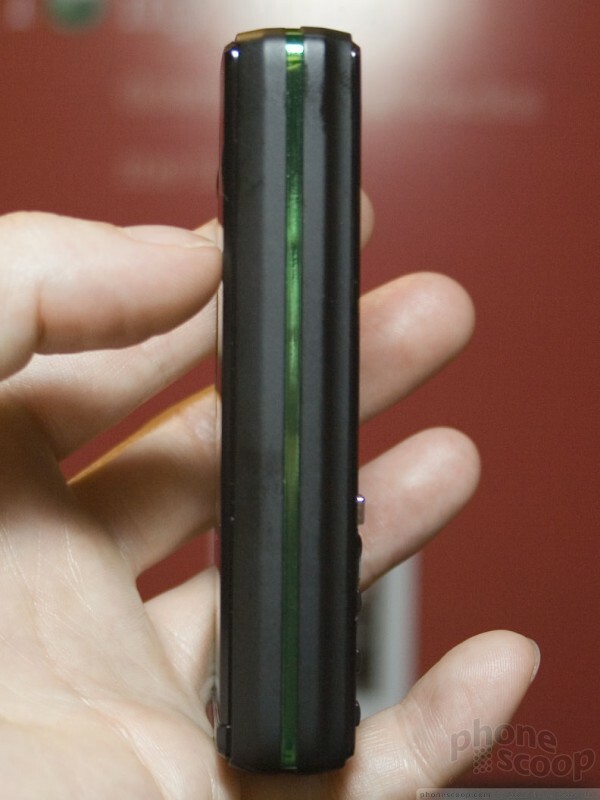 Like the iPhone, the K850 has an internal orientation sensor. 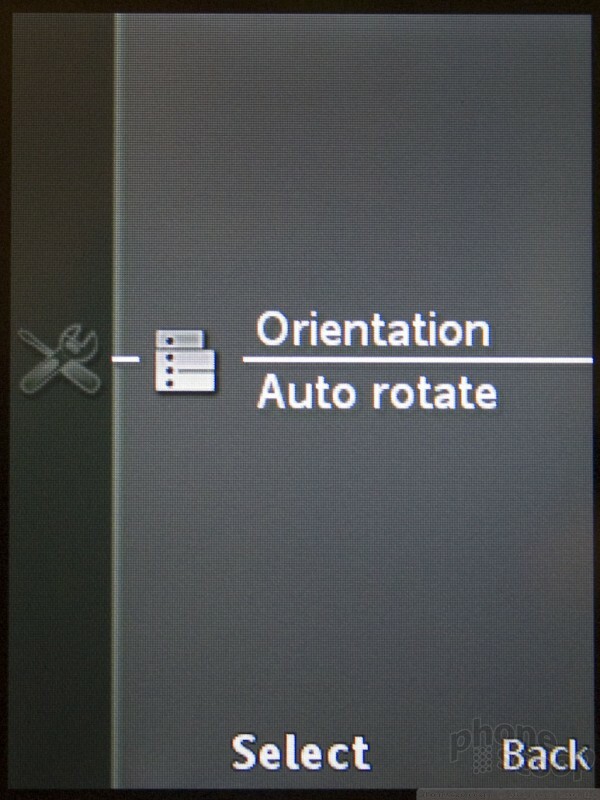 When in the media menus, if you rotate the phone to horizontal mode, the whole interface automatically rotates as well. 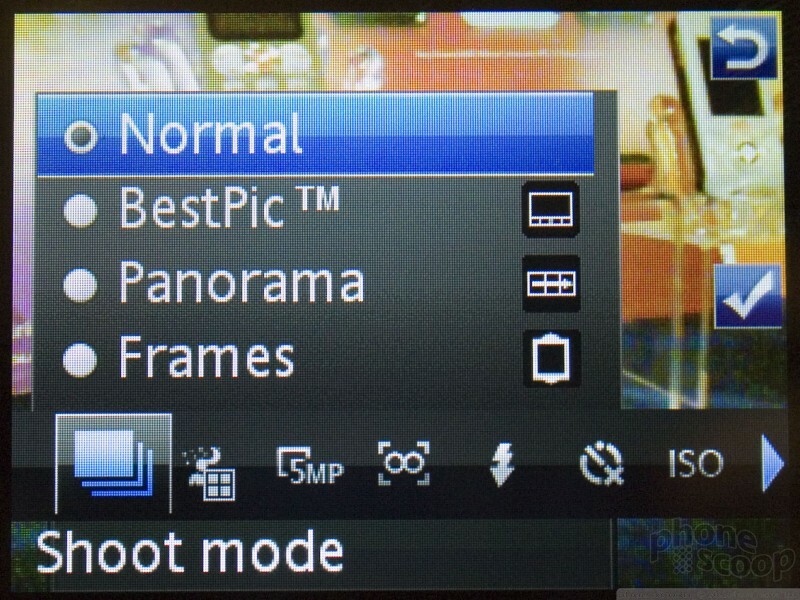 The sensor also works when taking a photo, so your photos are always right-side-up no matter how you hold the phone, both taking and viewing the photos. 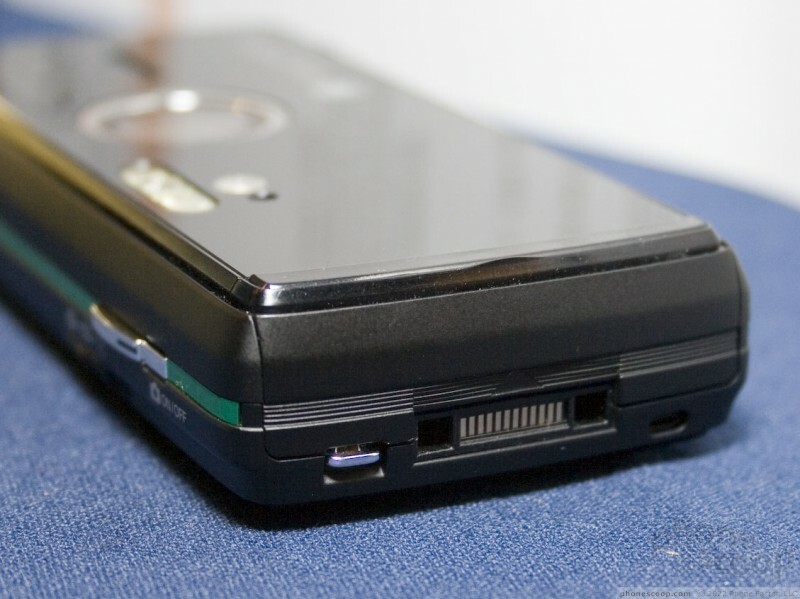 Lastly, it is worth pointing out the card reader on the K850. 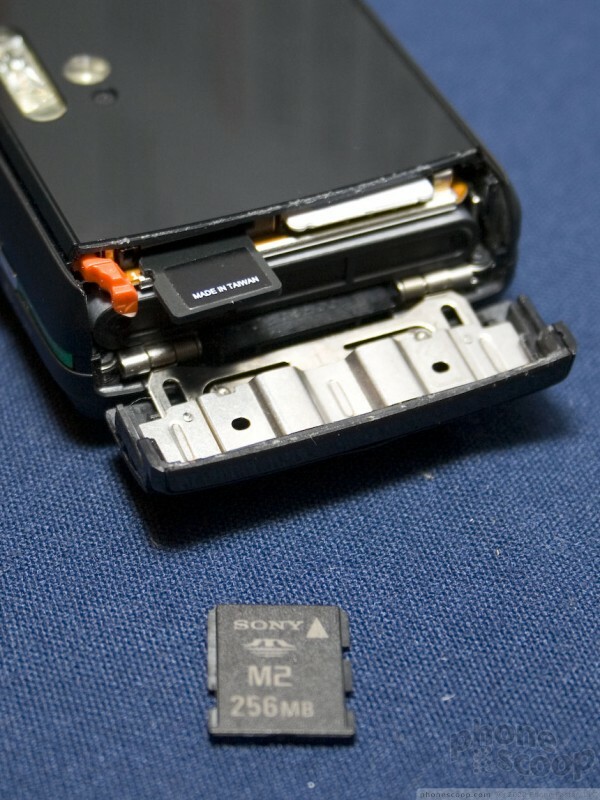 This is the company's first phone to support standard microSD memory cards in addition to Sony's M2 format. 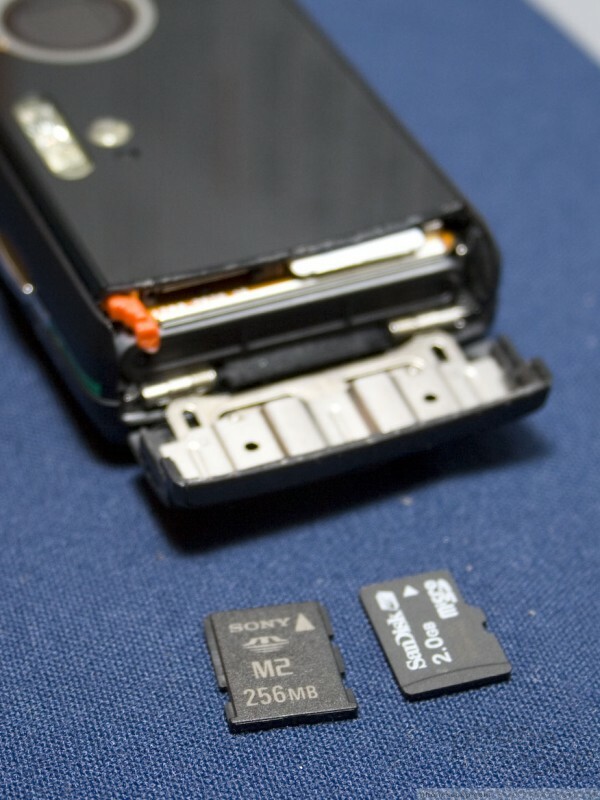 A single slot is compatible with both types of cards, which is novel for a phone. 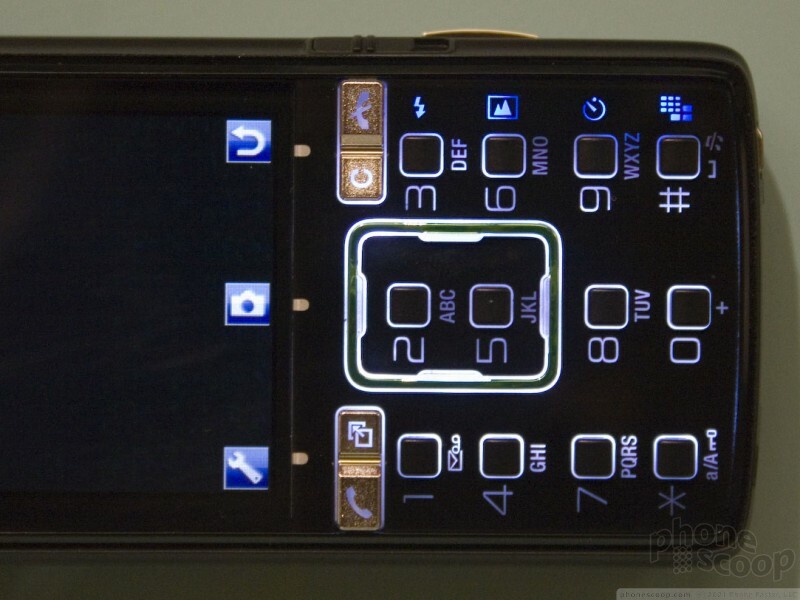 The card slot is found on the bottom of the phone, and is accessed via a hinged door. 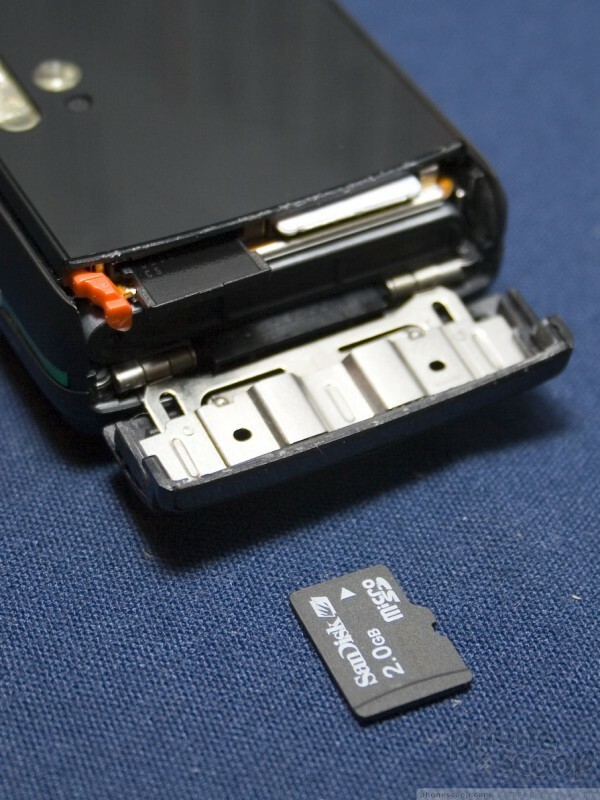 The SIM card and battery are also accessed with the hinge open. 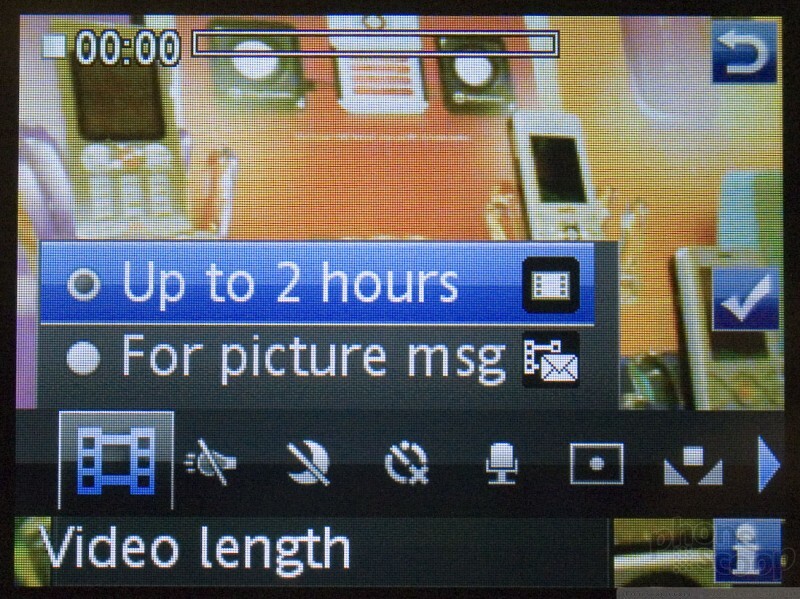 The construction of it is much more like a digital camera than a phone, down to the little lever that holds the battery in. Overall, the phone stands out. With its quad-band GSM/EDGE and tri-band WCDMA radios, Americans will have the opportunity to see just how good it is later this year. 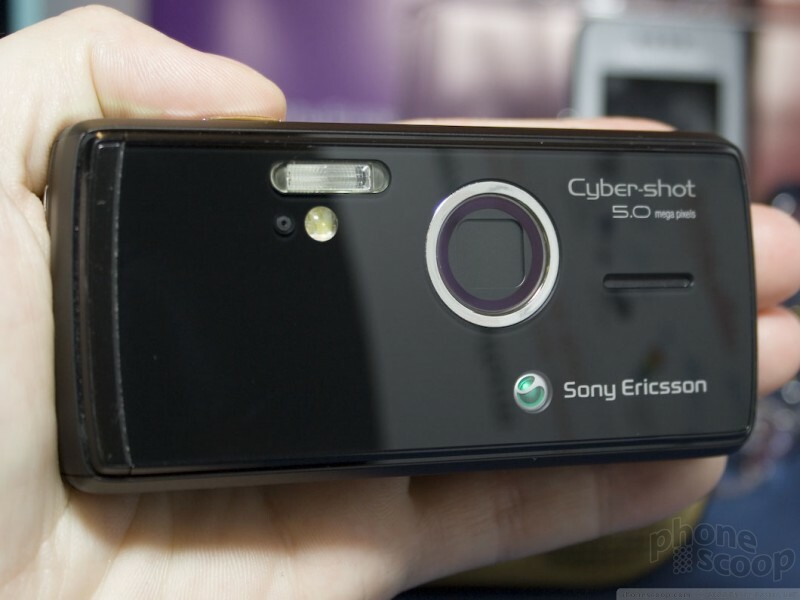 Sony Ericsson is aiming for holiday release. They're hoping to have it out in November, but December may be more likely. Sprint offers an updated music phone with the slim LG Muziq. Does it hit the high notes, or fall flat? I can't believe that with the release of the 8300 and 8830 that they've still not fixed their display defect. Every model of new trackball-based BlackBerry that isn't an 8100 Pearl that I have seen has pits all over the display lens. 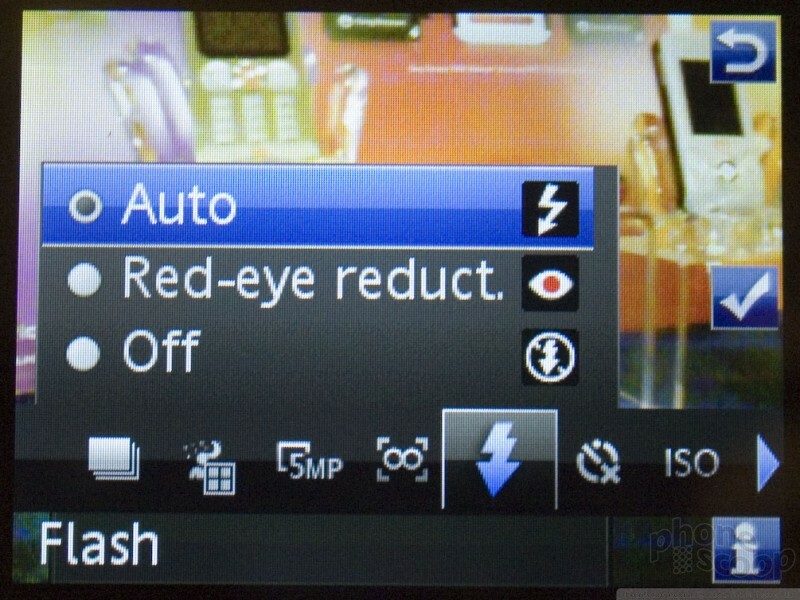 The AT&T models seem to be the worst of the bunch, but still, it is very annoying to be looking at your screen and seeing these little specs of iridescent refraction that look like burnt out or stuck on pixels, or grime on the display, just to find out it's a manufacturer's flaw. For the price these devices cost, they shouldn't be so poorly manufactured. RIM of course sent back a form letter denying the existence of this, of course. All that was there was the Curve which is already out? I guess Verizon isn't getting the Pearl. 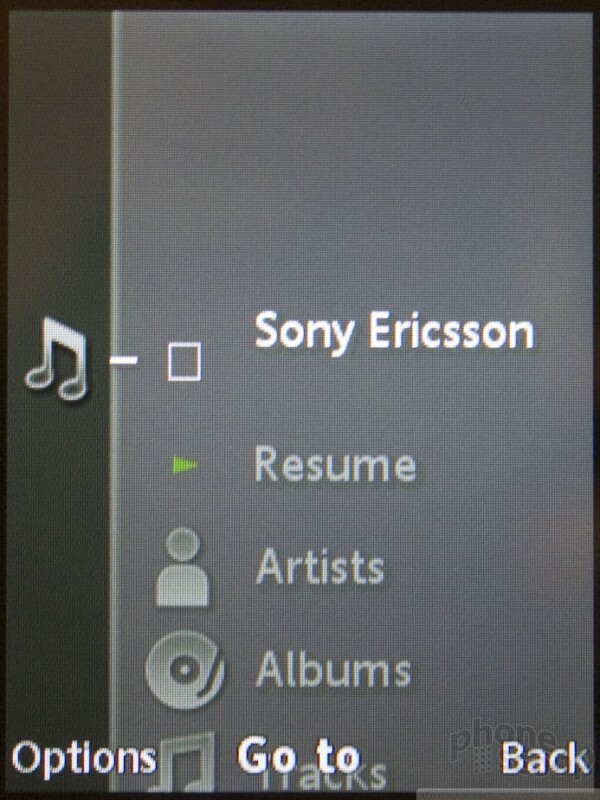 RIM rarely uses these types of events to launch new products, and never show off unannounced devices. Something like the Pearl or Curve is definitely coming to CDMA by the end of the year. 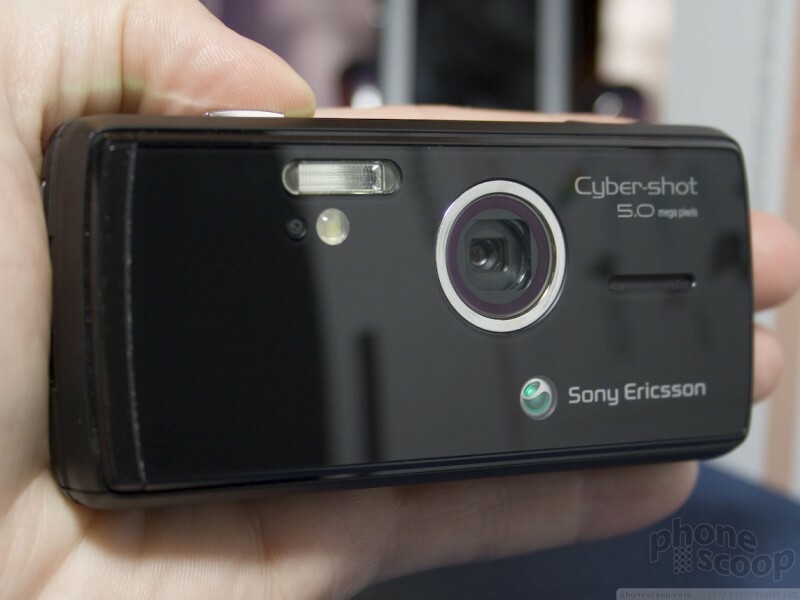 Does the fact it is a five megapixel camera phone not seem to be something worth mentioning in the article. 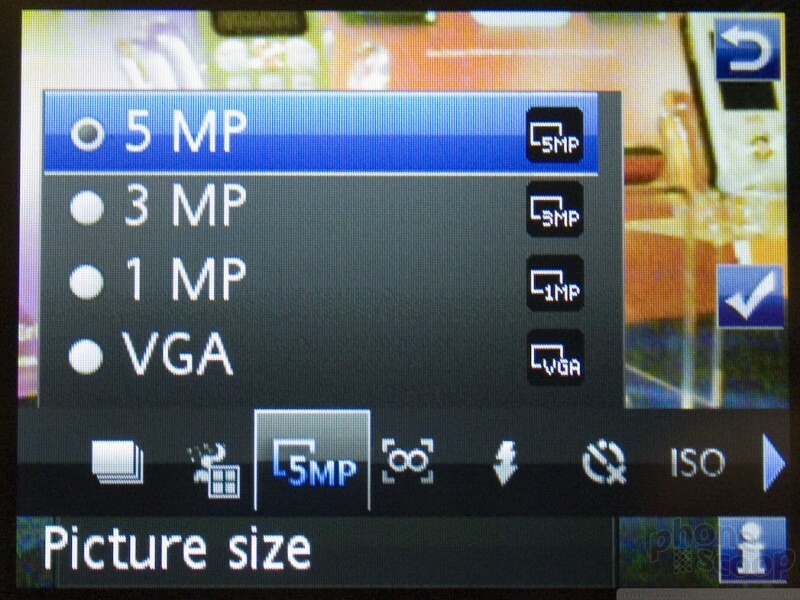 I know it was mentioned, but is that not a big deal in terms of cell phone cameras?